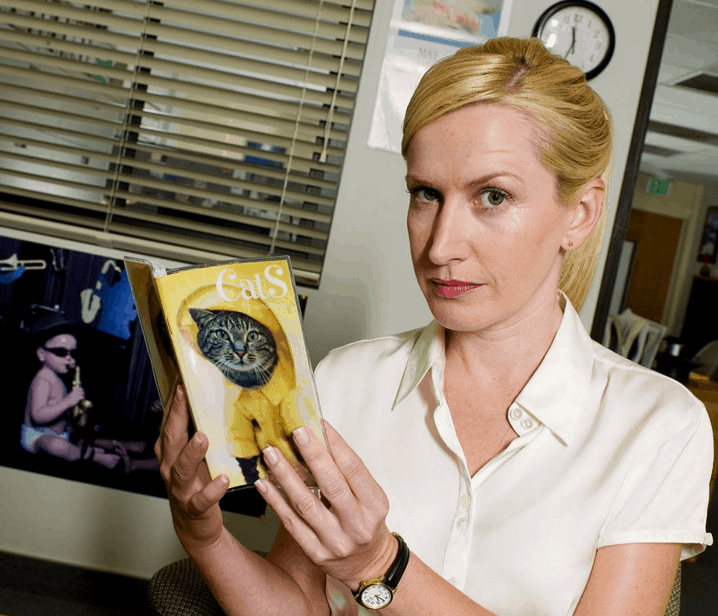 Former Office star Angela Kinsey is getting her own sitcom on TBS. Kinsey played an uptight, super religious accountant—also named Angela—on the NBC hit for nearly a decade. According to Vulture, the concept of her new show isn’t all that different from the long-running workplace comedy. 1-800, which is based on her real experience, focuses on her experience temping at a call center. Why does this set-up sound so familiar? Kinsey will both write for and star in the series.